The first thing to build your site is to purchase a domain. This is a very easy task and can be completed in few minutes time. Similarly you can purchase a good hosting plan or choose one of the free hosting providers. 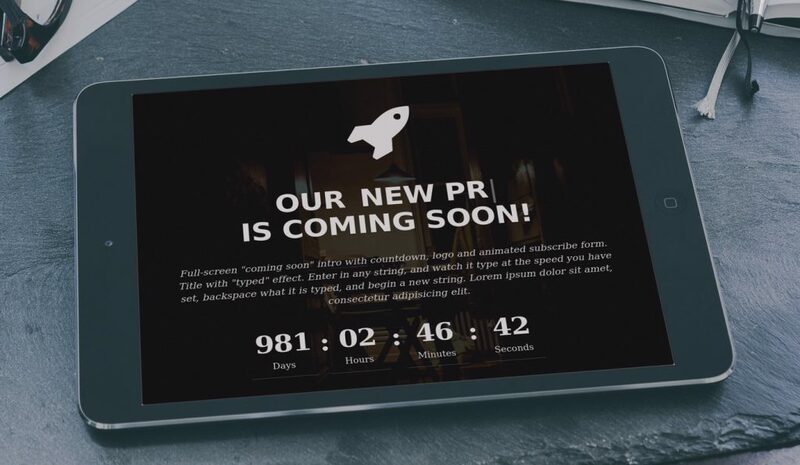 But the next step is to prepare the site for launching with decent content. This is not an easy task and can take many days based on your need. In such a case, generally the hosting or domain registrar company shows advertisements on your parked domain name. Or the URL will not be accessible due to missing DNS setup. Here are 5 free coming soon template made with Bootstrap for using any of the above mentioned purposes. You can download and use these templates as it is or modify the content to suit your need. Remember these are mere frontend templates which essentially means you should use third party or server side script for receiving the form inputs. All of these templates use standard jQuery countdown timer widget to showcase running timer with days, hours, minutes and seconds. You can set the launch date in the index.html file of the downloaded template. Rocket is a fully responsive Bootstrap template for showcasing contact form with a timer. It has also option to enter title and description. 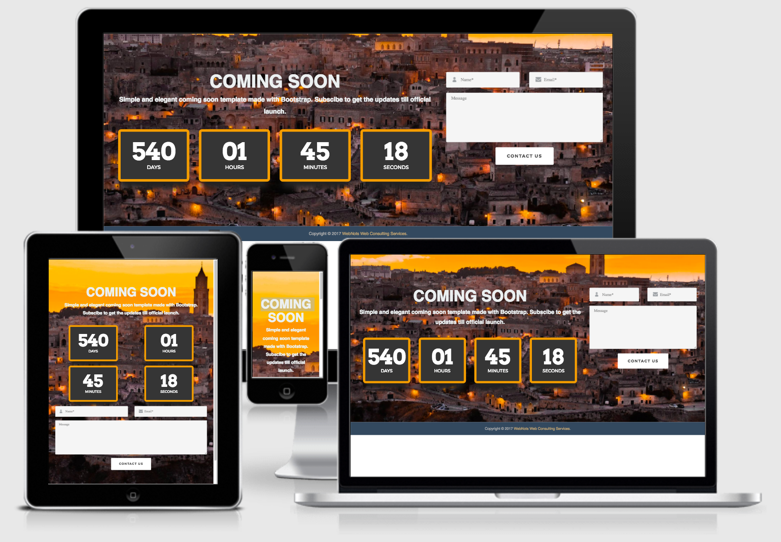 Coming Soon is a colorful Bootstrap template with timer and contact form. It also has copyright footer with options to add heading and description. TakeOff template has a typewriter heading with the options to enter three running headings. It also has an elegant subscription form and a timer. A coming soon template with plain timer and follow icons. 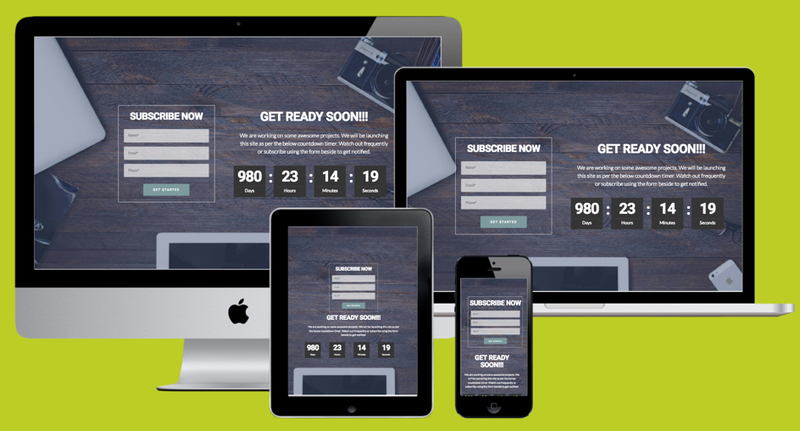 Launcher is a yet another Bootstrap template with timer and subscription form with fully responsive.